Sara Haas RDN, LDN, is a food and nutrition expert with formal training in the culinary arts. She works as a freelance writer, recipe developer, media authority, public speaker and consultant dietitian/chef. Sara is the author of Taco! Taco! Taco! and the co-author of The Fertility Foods Cookbook. She is a former culinary and nutrition instructor and served as a National Academy of Nutrition and Dietetics Media Spokesperson. She has been featured in Eating Well Magazine, Shape Magazine, Parents Magazine, U.S.A. Today, The Wall Street Journal, The Huffington Post, Epicurious, BabyCenter, O Magazine and Today’s Dietitian Magazine. Sara graduated from Indiana University with a Bachelor of Science degree in Nutrition and Dietetics, completed her dietetic internship at the University of Massachusetts and earned her associates degree in culinary arts at the Cooking and Hospitality Institute of Chicago, Le Cordon Bleu Program. 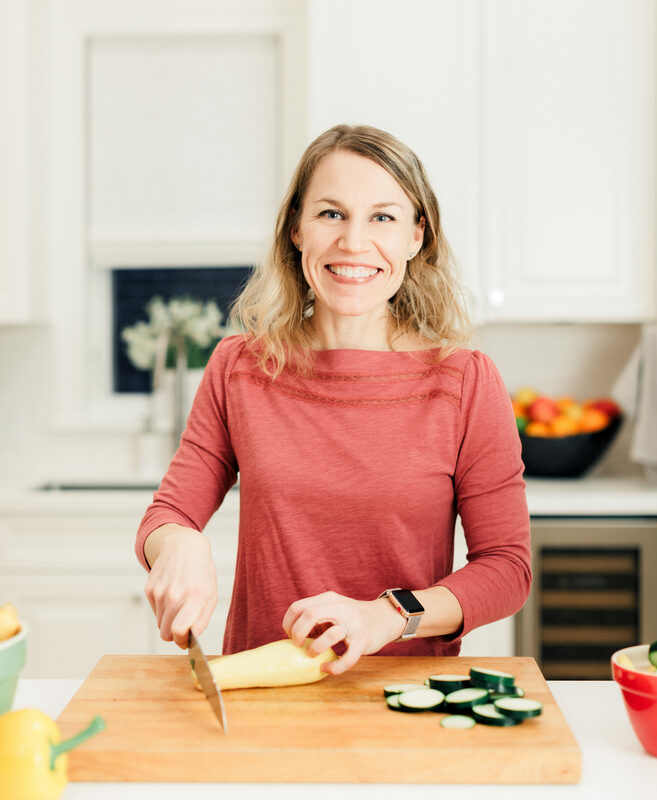 She is a member of the Academy of Nutrition and Dietetics, the Chicago Academy of Nutrition and Dietetics, the Food and Culinary Professionals Dietetic Practice Group and she is also a member of the Nutrition Entrepreneurs Dietetics Practice Group. In addition to working as a dietitian and culinary expert, Sara loves reading, baking, photography and being active – hiking, biking, running and playing outside with her family. She lives in Chicago with her husband and daughter.